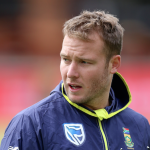 David Miller was sensational in the field for South Africa in Cape Town to earn Friday’s Play of the Day award and help the Proteas to secure a nervy win against Pakistan, writes ANITHA MADIKIZELA. 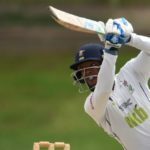 A David Miller century, backed by an authoritative innings by Luthando Mnyanda, put the Knights in line for their first win of the Sunfoil Series, against the Lions. 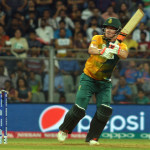 David Miller promised to buy Mohammad Saifuddin a drink after caning him for five sixes in a row on his way to a record-breaking 101 in the final T20 against Bangladesh. 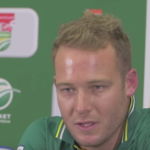 After 99 ODI appearances for the Proteas, David Miller is looking for consistency. 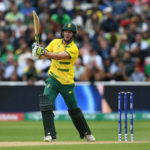 South Africa will be thankful their crunch Champions Trophy encounter sees them return to The Oval in London following a nightmare in Birmingham, writes GARY LEMKE. 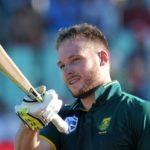 Kingsmead has been a happy hunting ground for the Proteas and we take a look at the top SA batting performances in Durban. 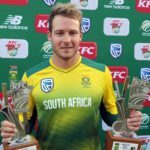 David Miller is eager to take on a more senior role in the Proteas T20 squad and is excited to work with the newcomers in the side. The Lions, on 262-5, lead the Warriors by 214 runs as an interesting final day awaits at the Wanderers. 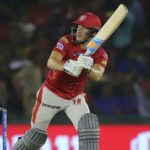 David Miller reflects on his 118 not out and his whirlwind year that got him there. A David Miller century allowed SA A to cruise past NPS in their Quadrangular clash on Wednesday. Hashim Amla’s Trinbago Knight Riders are one step away from the CPL final after they beat David Miller’s St Lucia Zouks by five wickets. 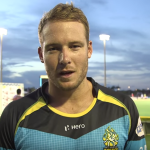 David Miller encourages fans to back his St Lucia Zouks side when they face the Trinbago Knight Riders in tonight’s CPL eliminator. 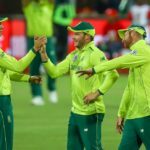 Faf du Plessis’ St Kitts and Nevis Patriots lost their final group game to finish last in this year’s CPL.